Blackout's cast includes improvisers, stand up comedians, musicians, classically trained actors, dancers, poets, writers, storytellers, and educators. The founding members and owners are Alsa Bruno, Joy Dolo Anfinson, Andy Hilbrands, John Gebretatose and Kory LaQuess Pullam. During a Blackout show you will encounter any combination of these talents, as well as experience a dynamic comedy show that will entertain you, take a look at serious current events, and perhaps even challenge you. 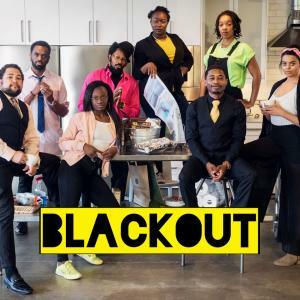 In its first year Blackout spent more than 5,000 hours doing trainings, workshops, and performances for nonprofits, colleges, and corporations all over the globe.